At RSNA, new applications and smart devices make it easier for hospitals to develop algorithms and manage data for imaging and precision medicine. 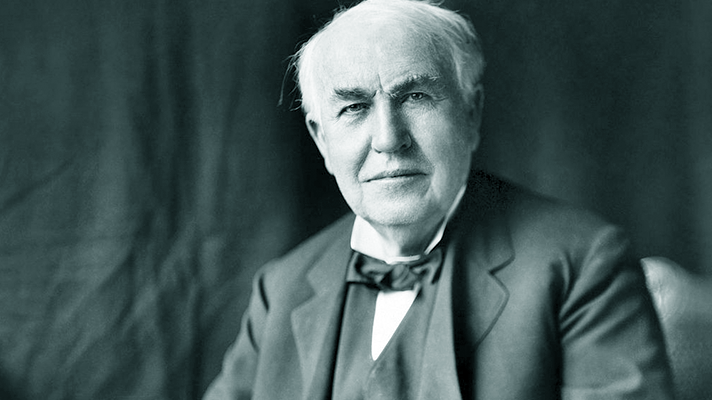 The new Edison platform is named for GE's co-founder, Thomas Edison. At the Radiological Society of North America annual meeting in Chicago, GE Healthcare is showcasing its new Edison artificial intelligence platform, with new applications designed to help hospitals and health systems make better use of AI. GE touts the Edison platform as a way to help hospitals derive more value from their technology. Its various clinical applications, which can be deployed on medical devices, the cloud or on the edge, are developed using validated algorithms from an ecosystem leading partners. "Edison provides clinicians with an integrated digital platform, combining diverse data sets from across modalities, vendors, healthcare networks and life sciences settings," said GE Healthcare CEO Kieran Murphy in a statement. "Applications built on Edison will include the latest data processing technologies to enable clinicians to make faster, more informed decisions to improve patient outcomes." Apps unveiled this week include: AIRx, a 510(k)-pending automated workflow tool for MRI brain scanning whose AI can offer automated slice prescriptions to help reduce previously redundant, manual steps; Critical Care Suite (also awaiting FDA approval) aims to help identify cases with the critical condition of pneumothorax at the point-of-care to enable prioritization of image review; CT Smart Subscription, which offers continuous access to the updates CT software, extending the life cycle of devices; automated Lesion Segmentation on LOGIQ E10 increases productivity through automation, helping eliminate the need for users to measure lesions manually and ensuring consistency for documentation and follow-ups. GE projects the healthcare AI market to exceed $6.5 billion by 2021, and cites data that shows 39 percent of healthcare decision makers planning to investing in machine learning and predictive analytics for imaging and other clinical applications. AI is a hot topic this week at RSNA, as radiology continues to transform the way imaging is managed. Other recent tech announcements include Nuance's new PowerScribe One reporting platform, and there's a plethora of AI education sessions on tap at McCormick Place. #RSNA18 is in full swing. Here's an early observation: BI and #AI, really, is about delivering value that's intuitive and woven into the fabric of the workflow. GE points out that 90 percent of healthcare data comes from imaging – but just 3 percent of that data gets analyzed or put to work. With the Edison platform, the company aims to help improve those statistics. "This isn’t about some flashy gadget or moonshot AI," said Keith Bigelow, senior vice president of Edison portfolio strategy at GE Healthcare, in a statement. "Edison powers pioneering but practical technologies that improve the workflows and devices of today and target the greatest pain points in the system." "There's a lot of hidden meaning in the deep data, but it takes a significant sophistication to extract the value," added Dr. Rachael Callcut, associate professor of surgery at UCSF and director of data science for the Center for Digital Health Innovation, who helped develop Critical Care Suite for the platform. "AI gives us an opportunity to see patterns that we don't see and change the way we care for patients, which can ultimately improve outcomes."